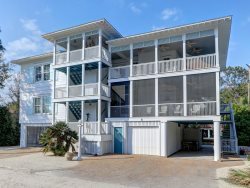 Perfect Property for Your Tybee Family Vacation! Quiet and Beautiful!! Newly Remodeled Home on North-End of Tybee Island! Classy and Modern Home with Oceanview and Pool! !